TransPak, a leading provider of logistics solutions, custom crating and packaging, has been selected to provide exclusive logistics ground support for the prestigious Breitling Jet Team North American tour. 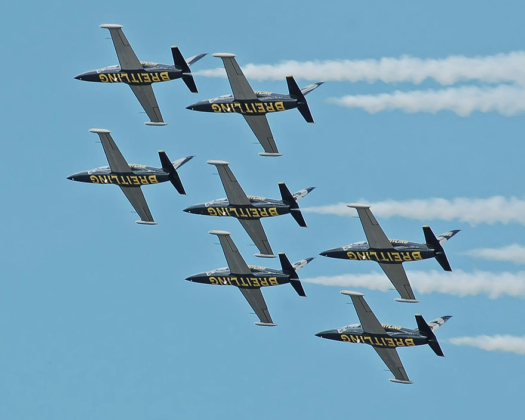 The two year tour marks the first opportunity for fans in the US and Canada to witness the daredevil maneuvers and aerobatic displays of Breitling's prestigious flying ace jet team, which has dazzled audiences in 39 countries worldwide to date. "Ground support and logistics are critical to the success of our North American tour," said Thierry Prissert, President of Breitling USA. "We selected TransPak because they share so many core values that are critical to our success—a commitment to high performance, precision in all they do, and an innovative and effective approach to our challenging logistics needs." TransPak provides import/export services for the AOG shipments, transport and packing logistics for the tour to ensure that materials arrive safe, on time, and in pristine condition. To support the program, TransPak provides the Breitling Jet Team with a custom branded truck and trailer outfitted to carry all the ground support materials for the duration of the tour. TransPak also provides a 2 nd custom truck and trailer for the full scale L39 Albatros jet used in locations where the real planes cannot be exhibited such as shopping malls, Times Square in NYC, downtown Seattle, and outside hospitality areas at certain air shows. Catch the tour in a city near you, or click here for the full tour schedule.